Reading this without ever being to China, you would lump Hong Kong and China as the same place. I admit, that is what I did before I first landed in Hong Kong airport in 2007. There are massive differences between Mainland China and Hong Kong. Today I’m going to help share with you some of these points. I had talked about this on my personal blog years ago and it got quite interesting – today I am expanding on it. I have made this blog into a video as well – while crossing the Hong Kong and China border! This is a common question I’m asked – is it “in” China. Let’s say this – you need to cross an international border to enter China and Hong Kong. The proper way of saying it is – Mainland China and Hong Kong SAR. So I would answer Hong Kong is NOT in Mainland China – the immigration is totally different. Not going to get into politics here, we’re a business blog. I know a lot of us say Hong Kong versus China. If you talk to local people, they will many times correct you and say Mainland China. Hong Kong is a special zone, and the answer to why this came to be would be because of the British colonization. And when the British “gave” Hong Kong back to Mainland China, it was negotiated to remain “independent” as a “1 country, 2 systems” that Deng Xiaoping was campaigning in the 1980s to unify China. As a “laowai” (foreigner) I am treading thin ice here as it is a political issue and there are strong emotions on both sides of the border. I think of similar “related but somewhat different” cases like United States and Puerto Rico. There are discussions about making Puerto Rico an official state of US, but it wasn’t approved by the people of Puerto Rico. A lot of pride of a culture of people who have been living their own way, and to fully integrate to another system is challenging. So the way the Chinese government has handled the handover of Hong Kong from a British Colony is allow it to keep its own systems. Hong Kong is a SAR – which means a special administrative region. In 1997, the UK handed Hong Kong over to China. As part of the terms of the handover, the Chinese government was to allow a “one country two systems” situation. I’m not an expert on this situation, but it allows Hong Kong to have its own economic and legal system. This exact policy is what has made this Global From Asia podcast possible! These special economic and legal systems in Hong Kong are great for business owners. We’ll dig into those benefits in various sections below. Hong Kong people are proud of their independence. There is always this underlying tension between Mainland Chinese and Hong Kong people. This is due to the different perceptions. In China they consider Hong Kong the same. Yet in Hong Kong, Hong Kong people often want it known they are separate people from Mainland Chinese. Sensitive issue that I may skirt around a bit and leave it at that. Let’s now dig into some of the specific differences! Hong Kong Dollars (HKD). The Hong Kong dollar has a fixed peg to the US dollar at approximately 7.78/7.8 HKD/USD. So I round up to 8 when doing business and call it a day for quick conversions. The notes are bright colored. You can see that they have different banks backing the notes – such as Standard Charter and HSBC. Maybe because it is such a small region they decided to pin it to the USD. Other economies around the world do this as well to protect their economy from huge variations in price and from hedge funds who try to manipulate the currency for their gain. Chinese Yuan (CNY) also called the Renminbi (RMB). This currency has been strengthening against the USD. The Chinese Yuan has gotten a lot of attention lately, as the Chinese economy has become the second biggest economy in the world. Many can remember it being in the 8 RMB/ 1 USD range, then moving toward 7 from mid 2000s and now towards 6 in the early 2010s. Chinese government controls the renminbi and is not freely traded. There are a lot of regulations on who can get RMB. It is only allowed in bank accounts in Hong Kong (well, which is in some ways part of China). But besides China and Hong Kong, you are not allowed to hold RMB in your bank account. So now you can imagine the border crossing between Hong Kong and China. As there is a peg of the HKD to the USD, and the USD has been weakening to the Chinese Yuan – this makes things much cheaper in Hong Kong. Because of this, many Mainland Chinese travel to Hong Kong to go shopping. Creating a chaotic environment in an already high dense population. But it isn’t just overcrowding, it is availability of certain goods. Mainland Chinese stock up on lots of products in Hong Kong such as make up, baby goods, and electronics. This depletes the supply and creates a lot of backorders at shops. Also it increases the price of goods, as would in any supply and demand situation. Imagine being a local in Hong Kong, your savings and earnings are in HKD pinned to the USD. Your wages are about the same as they have always been. But you go to your local supermarket and prices of goods are increasing quick. And often times you are not able to buy certain items as they are out of stock. On your way out of the shop, there is a massive line of Mainland Chinese tourists loading up a bus with goods that you were trying to buy. As Hong Kong is a different economic region, this means the tax rates are different. Taxes from employee, corporate, and sales tax. This has made it more attractive for companies to setup here, as there is a flat 16.5% corporate tax on earnings. Why are taxes low in Hong Kong? Hong Kong makes a lot of its tax income from real estate. Which has been booming! So they are not under too much pressure to collect more tax income. There have been years where they have issued a tax rebate to all its citizens! Like the general difference of taxes above, when goods come into Hong Kong port they are under different jurisdiction than China. And much lower from those coming into Mainland China. Being a “free trade zone” goods more in and out much more smooth. There isn’t an import tax on wine, for example, whereas in Mainland China it can get up to 50%. Also such niceties as foreign cheeses, milks, and luxury items are taxes much less when entering Hong Kong. This difference is another reason that so many Mainland Chinese are flocking to Hong Kong to stock up on luxury goods and exotic items from around the world. All the while Americans think China is such a cheap place to buy products. Sure it is cheap, if made there. But even still, it has a base VAT tax built into the product, and then issue a rebate when exported. A lot of businesses importing goods choose to first get it into Hong Kong, work on the local market there, and try to get things sorted in Asia. The next step would be picking a city in China. You have stock in Hong Kong and can ship small samples and low quantity wholesale orders to test the “Chinese waters”. Understanding this! Importing to Hong Kong and Mainland China are 2 completely separate issues. This is key in your success on getting products distributed to China. If you have read this Global From Asia blog a bit, you’ll notice that we focus on Hong Kong companies for the most part. A company in Hong Kong is completely separate from a company that is in China. Both in the economic and logistic sense. A Hong Kong company is more Western, in that it follows a lot of UK influenced law. There is also only a need to file a return yearly. You can issue invoices from the company direct like most companies around the world. Compare that to Mainland China where you need to file monthly receipts. These receipts need to be official receipts called fa piao in Chinese. They cannot be invoices written up by hand (or software) inside of a company. Instead the Chinese government issues them and then the company issues to the customer. This is a reason why I tell people who want to do business in China first start with a Hong Kong company structure. It is a lot easier to understand, and later you can get into the more complex business practices in Mainland China. This is a touchy one, and I may not be the best person to cover this but I’ll try my best. Instead of claiming I’m an economic expert, I’ll talk in layman terms from experience. Hong Kong is able to assemble and have protests. This is how the Occupy Central protests came to be. This is not allowed in Mainland China. There is Legco, the legislative council in Hong Kong, that the local people elect in various districts. They meet to pass laws. Back in 2007 when I first came to China I didn’t notice the internet filtering as much. It was just Youtube that wasn’t working. As the Chinese government has taken the stance to block certain international websites, the difference in Internet is massive. Hong Kong telecommunications companies do not have the same strict blocking (filtering) requirements. That makes things like night and day when in Mainland China. To summarize – you can access Facebook, Twitter, and the other popular international social media sites in Hong Kong. In China, you cannot. And it isn’t just for the access issue. Hong Kong internet speeds is one of the fastest in the world! Whereas in China it is the slowest (for foreign websites at least). Please note that domestic Chinese websites load super fast inside China. But as you’re reading this English article you’re not so interested in those sites. So even if the filtering was on or off, the speeds in Hong Kong are super fast! I’ve talked to many friends who moved from China to Hong Kong for this difference alone. Quick one – cars drive on the left side in Hong Kong, and on the right side in China. I hope you’ll remember this when crossing the street in Hong Kong and not get into a traffic accident by looking the wrong way. I have only spent about a month in the United Kingdom, but I do see resemblences to it when I’m in Hong Kong. The supermarkets, the brands, the system. Its a little bit of a stretch to say this – but I feel more like I’m in America when in China. The cars on the right side is one thing, but just the “more space” and “bigger” influence my personal feeling as well. As an “uncultured American” – HK has less space, so is more compact like places in Europe. More of an “older feel” with culture. Sure there are those feelings in certain cities in China too, but for the most part buildings are newer. The street system in Hong Kong is windy and squiggly, where in China most of the time it is grid system. This is also tied to the age of the lands. Hong Kong has more culture. Most of China is new and more “generic” (or let’s say American-ized). Hong Kong people speak Cantonese. Mainland China’s official language is Mandarin. How did this difference come about? Mandarin language originates from North China. Believe it is Beijing “hua”, or Beijing’s local dialect that spread across the land. Cantonese is a dialect for the south. More on Cantonese. It is a dialect of south China, in the Mainland China region of Guangdong province. There are still many cities in this region who speak Cantonese. For example, the capital of Guangdong province is Guangzhou which is still using Cantonese. I took an Uber there when I went to the US consulate, and the driver couldn’t speak English or Mandarin! My wife couldn’t even help as she doesn’t speak Cantonese either. We had to get out of the car and order another! Many people in Hong Kong are proud to speak Cantonese and want to continue to keep it as their primary language. But as more and more Mainland Chinese buy real estate, come for shopping trips, and immigrate to Hong Kong, the pressure is on. Many shop keepers need to speak Mandarin to sell to these buyers, else lose business. Let’s see how Cantonese goes in the future, but for now this is a notable difference between these 2 regions. Cleaning your gutters so mosquitoes don’t breed. Wearing a mask when you’re sick. Separating recyclables from normal trash. Besides television ads, you’ll see public service signs throughout the region reminding citizens. On the MTR there will be reminders to not push and to let passengers exit before entering. Compare this to developing Mainland China with a massive population. I understand this is a sensitive issue, but I keep it practical. Just a generation ago, China was not opened up to the rest of the world. Majority of people were making a living as farmers. Farmers, anywhere in the world, are living on their land, harvesting crops. They are hard workers getting up at the break of dawn and working til the sun comes down at night. They are not concerned with how their hair looks or if they have the latest fashion trends of clothing. More and more of China is becoming modern. Children of these farmers are getting great educations around the world. The farmers have now gotten rich on their land or other opportunities from the booming Chinese economy. Many complain about babies who urinate in public in downtown Central Hong Kong. Again, it will take time for all these cultures and habits to filter through the generations. I imagine how the United States was when it was the “wild west” and developing quick. There is just these types of changes that must happen when a country develops so fast. So these habits between Hong Kong and China are much different, and people in Hong Kong especially want the world to know this. 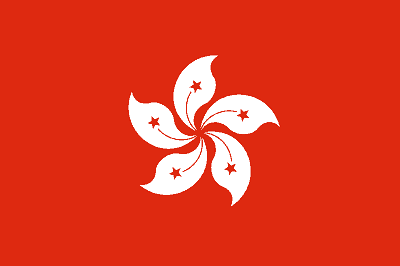 Hong Kong is a SAR – special administrative region. That means to get in and out of Hong Kong, you need to have your passport checked. That is true for Mainland Chinese, or any foreigner going into China too. Related: Hong Kong / China border crossing guide. People with a Hong Kong ID have the most ideal situation, able to cross between borders quick. Mainland Chinese coming into Hong Kong have a tougher time, needing to file a visa in their hometown. The rules have gotten stricter lately too. This is due to the Hong Kong people getting upset at the high volume of Mainland Chinese overcrowding the streets. As well as buying up the stock off store shelves. I will keep my personal opinion out of this matter. This is just the fact – Hong Kong is a small and special place. If all Chinese people could visit and move there, I cannot imagine what would happen. Real estate prices are already one of the highest in the world. For you as a non-Hong Kong / non-Chinese person reading this, just be aware that your passport is different depending on if you’re going into Hong Kong or China. Hong Kong is easier for you to enter, with just a tourist stamp on entry for 30 to 90 days depending on your nationality. Coming into China, most people need to apply for a visa. When I learned this the first time in 2007 I had no idea what it was! Americans rarely need to apply for a visa to enter a country. Check with your consulate on the visa requirements, but 95% sure you will need to apply in advance to come to China. Hong Kong follows both the Chinese and Western calendar system! Best of both worlds. As an employee in Hong Kong, you will get Christmas off, as well as a week for Chinese New Year. Mainland China doesn’t follow the Western calendar. Christmas day in China is just like any normal day. That blew my mind my first couple years in the country. I’m sure if you’re getting a job in China as a foreigner, the company will respect your holidays and give you some time off. Yet be aware that your coworkers will be in the office on Christmas day. The difference in Hong Kong and China with the Chinese holidays is the length. Hong Kong’s Chinese New Year celebration is only about a week, where in Mainland China it can be from two to four weeks long. The length of the holiday depends on the industry and company policy. Again, because HK is a special region, they have their own court system. Many recommend when you have contracts to use Hong Kong as the jurisdiction. This is because the court system is more open to English and follows a lot of UK practices. Throughout this article I have mentioned that Mainland China is developing at a rapid pace. Same with the legal and court systems. You may be wondering what jurisdiction to put for your arbitration on a certain contract. That is a loaded question full of “it depends” in my answer. you have to see where your counterparty is and if they have assets in the company they can lose. But as a general rule of thumb you should consider Hong Kong court system. 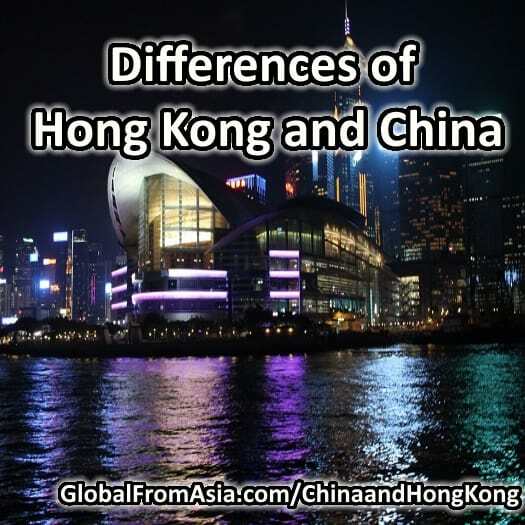 I hope this helped you better understand some of the differences between Hong Kong and China. Hope that I didn’t offend too many people reading this. I know that this is an touchy subject that heats up tempers between Hong Kong and Chinese people. People in Mainland China will explain that Hong Kong people are Chinese, and that their ancestors came from China. Mainland Chinese will also say that it makes the Hong Kong people seem like they want to be special people. Claiming they look down on Mainland Chinese as inferior. I have many good friends on both sides. I know some of my university friends have their parents and grandparents who fled Mainland China and got into Hong Kong. They wanted to separate from China. I have talked to these people face to face in Hong Kong. It can get emotional. Will these differences hold true for the long term? I am asked that a lot, and as a businessman with a lot invested on Hong Kong’s free and easy business practices, I sure hope so. It is also worth noting that a lot of Chinese businessmen also want to keep the business benefits in Hong Kong separate. Just like me and you, they have a lot invested in Hong Kong. Cast Your Vote Now! What’s Better – Hong Kong or Mainland China? Where Do You Prefer: Mainland China or Hong Kong SAR? What are your feelings? Leave a comment below and let’s learn more together.